Note: PDR4600 Drill Set sizes are: 1/8, 3/16, 1/4, 5/16, 3/8, 7/16, 1/2"
PDR4650 Drill Set sizes are: 1/8, 5/32, 3/16, 7/32, 1/4, 5/16, 3/8"
Black and Gold Series Drill Sets: Special Hi-Molybdenum tool steel, gold surface treated body, flute and point for maximum lubricity. Super CHIPFREE™ point is precision ground at a 60 degree angle for gradual penetration to avoid cracking and chipping of the acrylic material. Protective Vinyl Pouches are conveniently marked with drill sizes, feed rates and recommended RPMs. 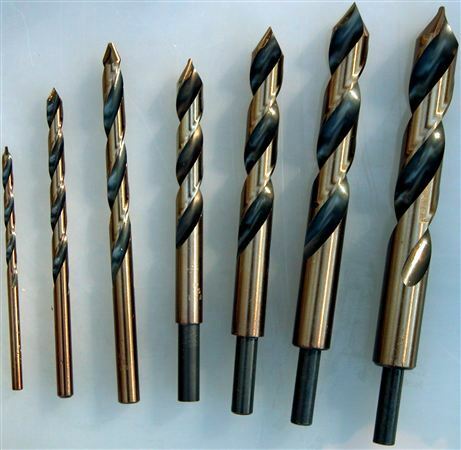 Excellent choice for hand held drill applications as well as drill press or automated machines.